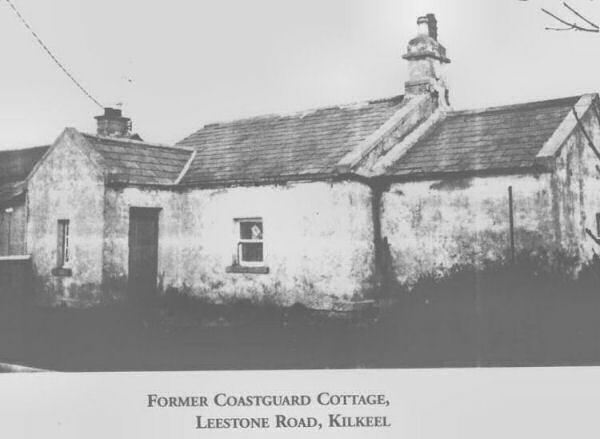 This is the birthplace of my grandfather James Scott McClaughlin on 13/12/1881. His elder brother Thomas George and younger sister Anna Matilda were also born there on 21/9/1879 and 17/2/1884 repectively. Their mother was Annabella (nee Jones) and father James Scott McClaughlin. They married at Kilkeel parish church on 6/12/1877. He was born 1842 at Powderham, Devon, joined the Royal Navy in 1855 and served to 1877 when he transferred to the Coastguard service. He served on the Topaze and Bellisle before retiring in 1892. Other children were born at Moville, Moneydarabeg, Maghereagh, and Belfast. The family moved to Belfast c1889. Annabella was born at Youghal, Co. Cork to George Jones and Ellen (McKellar). 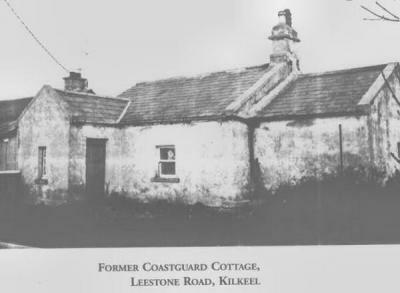 George Jones was a coastguard at Cove as was his father Samuel Jones. Samuel Jones died at Stainsheath Hospital, Cove on 12/10/1847. Ellen McKellar's father, Robert McKellar was Captain of the 'Robert Bruce' on the 1860 marriage certificate. Listed in the 1863/64 edition of Lloyds register = Robert Bruce, a Brig, Master - W.Muir, 181 tons, 97'.5'' x 50'.5''(this width seems incorrect, too wide, 25' possibly) x 12'.9'' built - Prince Edward Island in 1854. Owner - W.Gough, Bristol. Trading to the US.